The high-speed frequency conversion chopping machine has the characteristics of the high speed of the cutter shaft, high linear speed, large capacity, good emulsification effect, a wide range of processing materials and so on. The chopping machine adopts a variable frequency motor, which can adapt to the requirements of various raw materials and different customers. It adopts advanced control technology, is safe and reliable, has perfect display control function, high insulation and heat resistance, and good overload protection performance. The key components of the main shaft bearing, oil seal and electronic control system of the machine are processed by CNC machine tools to ensure the machining precision. The high-speed frequency conversion chopping machine has a beautiful appearance, compact structure, simple operation, complete functions, high precision, and strong performance. The chopping machine has the characteristics of the high speed of the cutter shaft, high power, good emulsification effect, a wide range of processing materials and so on. Not only can you cut and emulsified a variety of meats, but you can also cut, emulsified pork skin, tendons and other raw materials such as crude fiber and composite collagen. The machine adopts advanced control technology, safe and reliable, convenient maintenance, perfect display control function, and its motor has the characteristics of large starting torque, high insulation heat resistance, and good overload protection, especially suitable for the frequent starting work environment. in use. 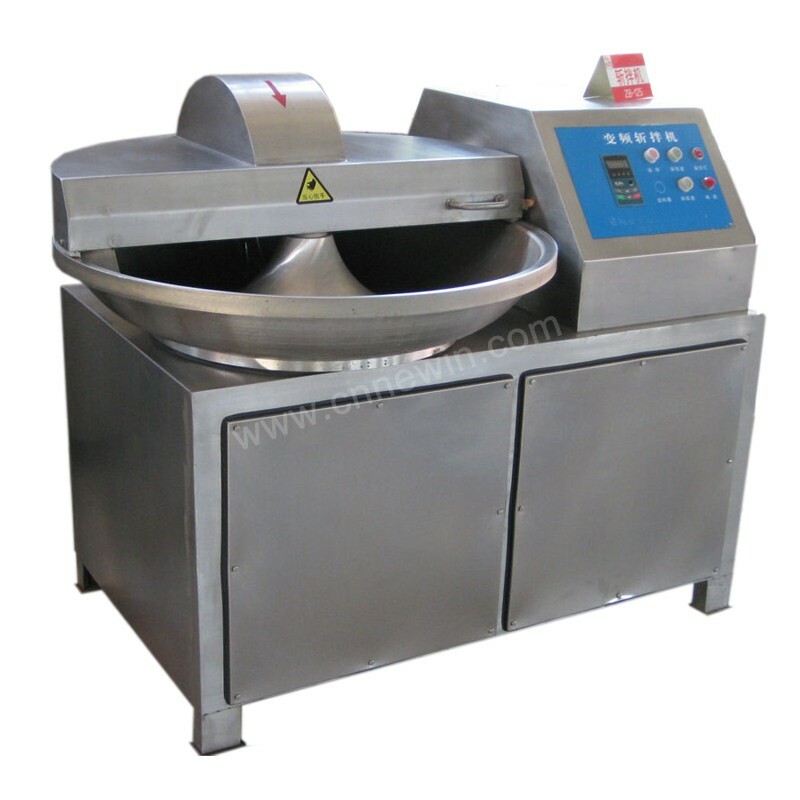 The material mixed by the chopping machine can increase the yield, reduce the bubbles, enhance the elasticity, fine texture, fully extract the protein, and fully combine the materials with the auxiliary materials and water, and the emulsification effect is good, ensuring that the product reaches the drunk quality.